As reported by Catherine Thompson in the Waterloo Region Record, It’ll cost about $8.6 million to rid the soil and groundwater of contaminants at the former Kitchener, Ontario Frame site. The huge industrial site at Homer Watson Boulevard and Bleams Road has been undergoing cleanup for the past three years. The soil and groundwater were contaminated with petroleum hydrocarbons, volatile organic compounds, metals, polychlorinated biphenyls (PCBs) and polycyclic aromatic hydrocarbons (PAHs), contaminants that are often found at former industrial sites. The city and the developers — Gary Ball and Marty Pathak — are keen to see the site redeveloped, said Rob Morgan, the City of Kitchener’s co-ordinator of development of former industrial sites. The site of the auto parts plant variously known as Budd Canada, ThyssenKrupp Budd Canada and Kitchener Frame, has been vacant since 2009. 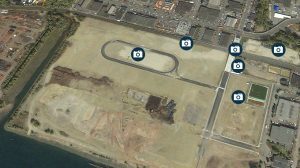 Redevelopment of the sprawling 32-hectare site will give a big boost to the city’s supply of industrial land, Morgan said. About 16 hectares are slated industrial, 10 hectares are retail and 1.5 hectares are office. Another four hectares will be used for things like roads and storm water management. “It’s much-needed land,” Morgan said. “Kitchener doesn’t have a lot of vacant industrial land left to offer.” There’s a couple of parcels, on Shirley Avenue and Strasburg Road, but not much else, he said. The developers have applied to the city and region for grants under a program to encourage remediation of contaminated land. The former Kitchener Frame site would be the biggest property ever to apply for the program, Morgan said. Under the program, a developer cleans up a site and redevelops it. 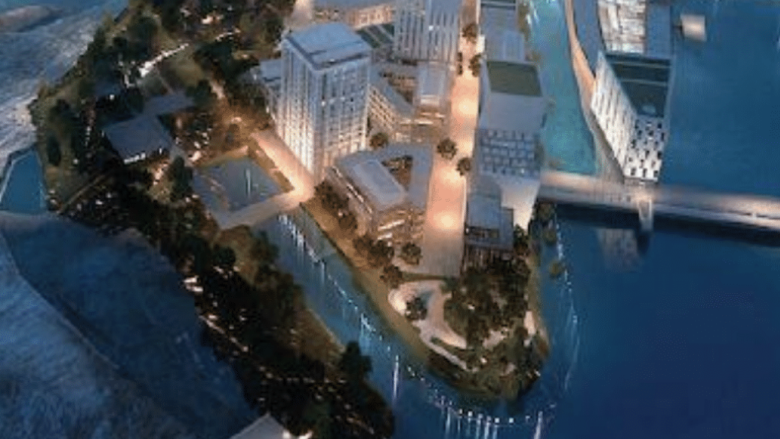 The new development generates far more taxes than the vacant land had. The city and region hand over the additional tax revenue to the developer for a set number of years, to repay the cost of the environmental cleanup. The site now has an assessed value of $8 million, and generates about $108,000 in property taxes a year, split roughly 40-60 between the city and the Region of Waterloo. Once it’s cleaned up and redeveloped, it’s expected to have an assessed value of around $112 million, and generate $2.2 million in municipal property taxes. “It’s a great program,” Morgan said. In exchange for foregoing the increased taxes for a certain number of years, the city gets vacant land cleaned up and converted to a productive use that generates more taxes and jobs. The Kitchener Frame site will be split into 11 different parcels from 1.3 to 10 hectares. Kitchener doesn’t expect to see the first new development on the site until about 2020, and development could continue for the next 10 or 15 years beyond that. City staff are recommending that Kitchener council approve the application, which must also be approved by regional council, likely in June. Catherine Thompson covers Kitchener City Hall for the Waterloo Region Record. As reported by the CBC, Environment and Climate Change Canada (ECCC) does not consider itself as the lead for the clean-up of Hamilton Harbour or Thunder Bay harbour. ECCC says, while it is leading an ongoing harbour cleanup in Hamilton, it’s not a role the federal agency usually assumes. That comes as proponents of cleaning up historical pollution in the harbour in Thunder Bay, Ont., try and sort out who is responsible for spearheading similar efforts in the northwestern Ontario city. Efforts to clean up historical industrial pollution at the Randle Reef site in Hamilton’s harbour date back at least 15 years, said Eisenberger, who also used to be the chair of the board for the Hamilton Port Authority. For years, he said, the port effectively served the lead agency role, coordinating local stakeholders and senior levels of government to move the project forward. Environment Canada took the reins well into the project’s lifespan, according to Eisenberger and a spokesperson with the federal agency, and only after the involvement of the Hamilton port — who owns the harbour bed at Randle Reef. 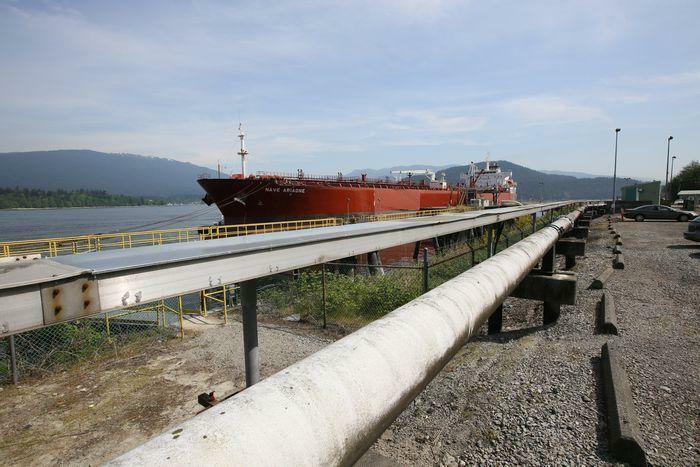 In Thunder Bay, determining who should be that advocate has been difficult; the water lots where 400,000 cubic metres of mercury-contaminated pulp fibre sit in the harbour’s north end are owned by Transport Canada but administered by the Thunder Bay Port Authority. 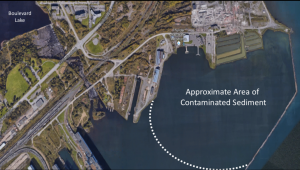 Transport Canada has told CBC News spearheading a cleanup is up to the port, while port officials say they’ve been told by Transport Canada to advise on — not lead — remediation efforts. The port has pointed to Environment Canada as the most appropriate lead agency, citing its role in Hamilton. 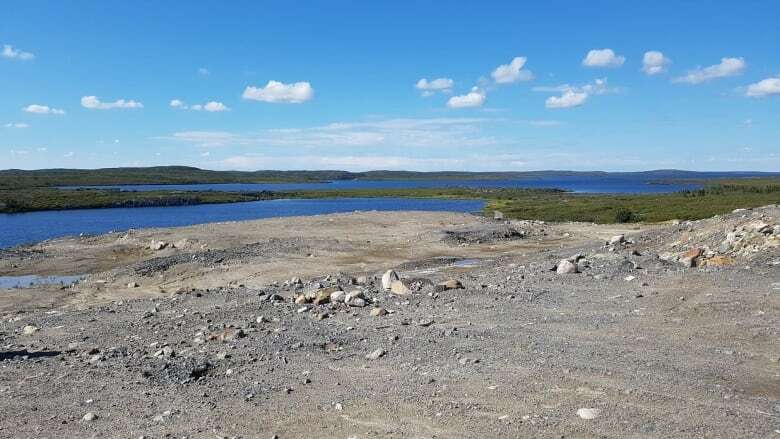 Just because Environment Canada takes a leadership role in one project doesn’t necessarily mean it will in all cases, a spokesperson with the agency said. “There really is no standard model for remediating contaminated sites other than that governments try to apply, where possible, the polluter-pay principle,” Jon Gee, Environment Canada’s manager of the Great Lakes area of concern wrote in an email to CBC News. In Thunder Bay, the industrial companies largely responsible for the legacy pollution no longer exist. The jurisdictional confusion in Thunder Bay has caught the attention of at least one legislator in the area. Officials with the office of Thunder Bay-Superior North MP Patty Hajdu said she has met with members of the Thunder Bay Remedial Action Plan’s public advisory committee and that she will also discuss the matter with the federal ministers of transport and the environment. Gee said Environment Canada “remains committed” to working with government and other stakeholders on the project. 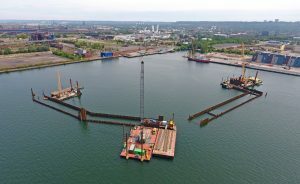 In Hamilton’s case, funding for the $139 million Randle Reef project is being split among the federal and provincial governments, as well as Hamilton, Burlington, the Hamilton Port Authority and Stelco, a steel company based in Hamilton. It’s expected to be complete in 2022. In Thunder Bay, a number of remediation options were presented in 2014 to the public, with feedback going into a report. Environment Canada has said no preferred option was identified because there is no lead agency on the project. Cost estimates at the time ranged anywhere from $30 million to $90 million. 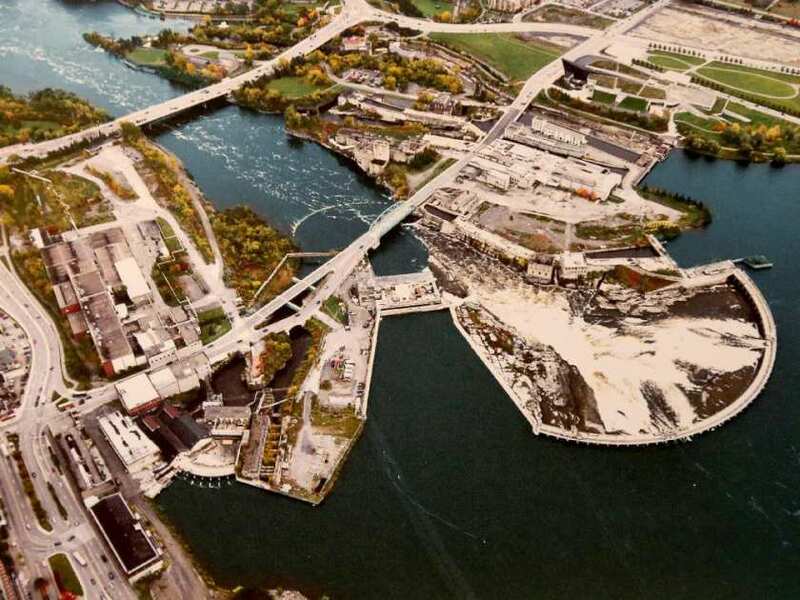 As reported in the Hamilton Spectator, Hamilton Harbour still has an undetermined number of years to go before it can meet water quality and ecological standards acceptable to the International Joint Commission. The Canada/U.S. bilateral agency that oversees cross-border water issues said in a statement this week that — after three decades — it is growing restless about the slow pace of Great Lakes water improvements on both sides of the border. “The IJC identifies specific gaps in achieving the human health objectives … for drinkable, swimmable and fishable waters, and recommends that the governments set an accelerated and fixed period of time for effectively achieving zero discharge of inadequately treated or untreated sewage into the Great Lakes,” the agency says. More than 30 years ago, the commission deemed 43 “areas of concern” on the Great Lakes — including Hamilton Harbour — and only seven sites have so far been delisted, three of which are in Canada. Two big projects currently underway in Hamilton harbour are expected to lead to major improvements in its water quality. The first is the ongoing work encapsulating the highly toxic coal tar blob at Randle Reef. The Randle Reef Contaminated Sediment Remediation Project is scheduled for completion in 2022 at a total cost of $138.9 million spread out over three phases. The other ongoing big-ticket item is Woodward Avenue Wastewater Treatment Plant, which is in the second year of a five-year, $340-million upgrade that will raise treatment to a modern tertiary level. This is expected to dramatically reduce discharges into the bay with most notably a reduction of 65,000 kilograms of phosphorus per year. 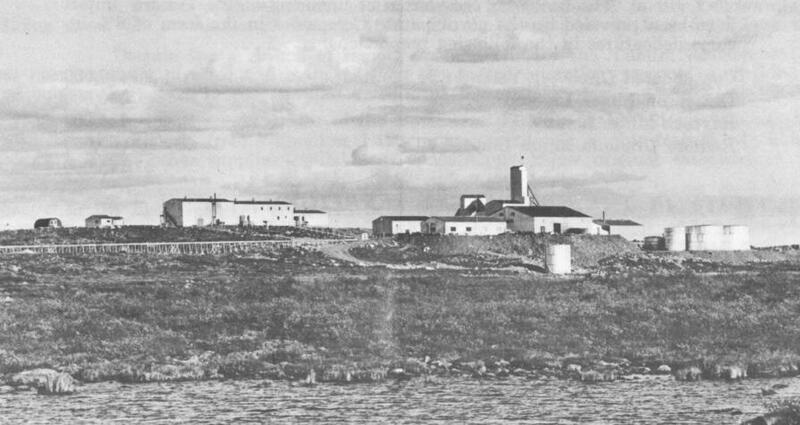 Thunder Bay is located at the northwest corner of Lake Superior and has a population of approximately 110,000.
http://hazmatmag.com/wp-content/uploads/2018/02/Construction-of-the-Randle-Reef-Clean-up-Project-in-Hamilton-Harbour.jpg 979 1600 hazzmatt1 http://hazmatmag.com/wp-content/uploads/2017/01/hazmat-logo.jpg hazzmatt12018-02-20 14:19:362018-02-20 14:19:36Who is Charge of Harbour Clean-ups in Ontario?